The i-STUTE University of Warwick team took part in a behavioural psychology ‘nudgeathon’ aimed at coming up with innovative ideas to reduce energy demand. Based on the concept of a ‘hackathon’ – where computer programmers convene for an extended period to work on solutions to a particular coding problem – the nudgeathon participants develop behavioural ‘nudges’ that encourage people to take on different practices to tackle a particular problem. The event in question focussed on reducing energy demand on the University of Warwick campus and gathered together students and academics in teams to come up with ideas to tackle the problem. Several of the ideas resulting from the event are being assessed by the university to see whether they could be implemented. For example, infrared imagery could be used to show students visually how much heat is being wasted in university accommodation and could lead to changes in behaviour. 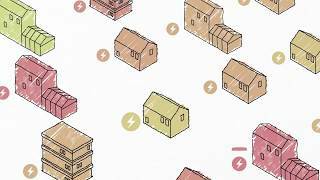 The End Use Energy Demand Centres focus on the demand side of energy, looking at the social, economical and technical factors affecting how and why energy is used in home, non-domestic and travel settings. Supply side changes to the types of energy used for keeping our society running (for example the shift to solar and other renewables) can help reduce emissions to meet our global targets. However, it is necessary to understand and adapt the human actions at the other end of the supply chain to create a step change in the way we use energy. WBS 2017 NUDGEATHON from i-STUTE on Vimeo.